Have you ever wondered what a walk on Mars looks like? Well, a trip to Kasha-Katuwe Tent Rocks National Monument is a great place to experience an other-worldly scene. These cone-shaped rock formations provide visitors with an unbelievable setting in one of the most interesting and head-scratching landscapes in the Southwest United States. In a state full of sensational natural wonders, this one that should sit at the top of your list. If you want to fill your list with other great sights and activities in the area, request access to our free Vacation Guide! It’s full of local recommendations and tips so you can focus less on planning and more on having fun in the Land of Enchantment! New Mexico is full of oddball sights and natural landscapes that look like they belong on the moon. At this national monument, an assortment of white rock canyons and tall cone cylinders greet you as you traverse a mix of smooth slopes and rocky precipices. The cone-shaped tent rock formations resulted from volcanic eruptions six to seven million years ago. While you are here, you’ll see that the cones vary from a couple feet high to over 90 feet tall! As you weave your way through these needle-like structures, you’ll wonder whether they are fake or real. One thing is for sure, experiencing the Kasha-Katuwe Tent Rocks National Monument is an unforgettable experience. A trip to Kasha-Katuwe Tent Rocks National Monument is one of our favorite day trips from Santa Fe. The best way to see the monument is by trail. Once you enter the park through the Cochiti Pueblo entrance, head to the National Recreation Trail. This includes two segments ranging from 5,570 to 6,760 feet above sea level. The trails provide visitors with excellent views for photography, bird watching, plant identification, and geologic observation. One of the best spots for a glimpse of the national monument and surrounding lands is the Veteran’s Memorial Scenic Overlook. You can even bring a picnic lunch to eat at one of the many picnic areas at the base of the trail. Tip: Make sure you check the Kasha-Katuwe Tent Rocks National Monument page on the U.S. Department of the Interior Bureau of Land Management website for special hours, closings, and other details before your arrival. 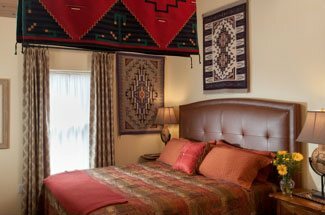 Four Kachinas has everything you need in a home away from home as you explore the great state of New Mexico. 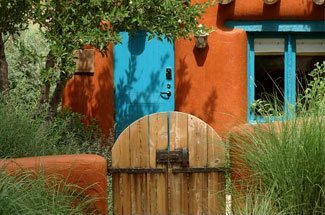 With so many historical sights and great activities just outside your door, you’ll never run out of things to do in Santa Fe! Our cozy accommodations feature the best amenities to make your time with us comfortable and relaxing. Add on one of our special packages for an unforgettable stay! We love the Land of Enchantment and we know that you will love it too! Request your free Vacation Guide to start planning your getaway today! We can’t wait to meet you! These Are the Best Santa Fe Day Trips — Where Is the Best Italian Restaurant in Santa Fe?